I am putting on a binding on a really big quilt. I find that a machine binding is the easiest and fastest way to get this done. I cut my binding 2 1/4 inches wide, sew the strips together and press in half. 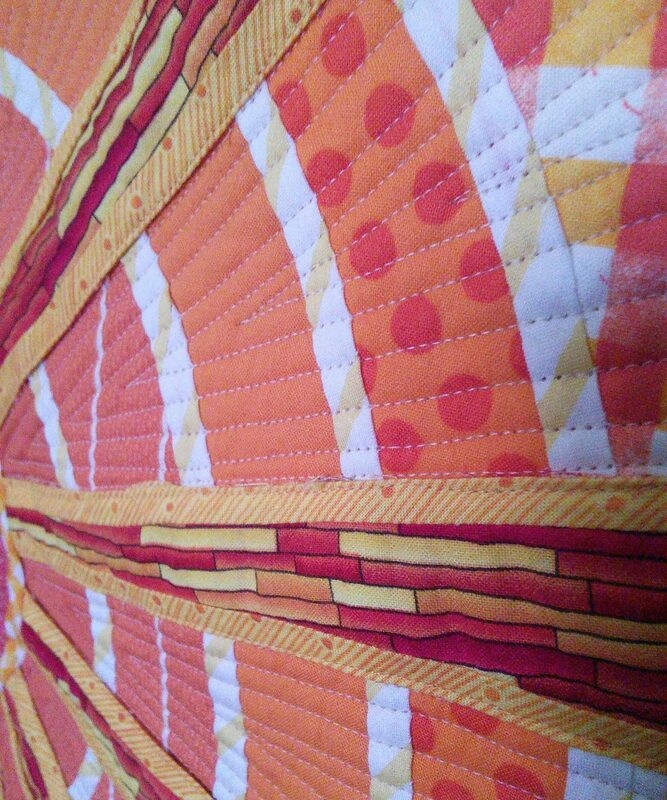 I then attach the binding to the back of the quilt using my walking foot and matching thread. After attaching the entire binding strip and closing it up, I turn the binding to the front side and stitch close to the edge using my walking foot again. I do not clip the binding first. I just turn the binding as I go around the quilt This is a big time saver for me. Th binding is finished in short order.